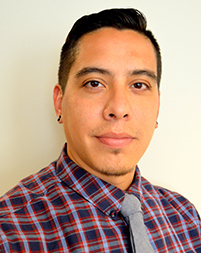 Fausto A. López is a bilingual, Spanish speaking, senior technical assistance consultant working on afterschool and expanded learning initiatives at AIR. He provides technical assistance, training, and professional development to diverse audiences in the education and out-of-school time sectors. López works with new and emerging afterschool systems to design resources and tools that support afterschool programs in the development, implementation, and evaluation of program offerings. He works diligently to secure funding to build the portfolio for afterschool and expanded learning initiatives with meaningful work that contributes to the out-of-school time field. López specializes in U.S. Department of Education, Elementary and Secondary Education Act initiatives (21st Century Community Learning Centers, Gaining Early Awareness for Undergraduate Programming, and Upward Bound). López’s current projects include co-managing a coaching initiative as part of the Chicago Public Schools Community Schools evaluation, leading co-interpretation data planning sessions as part of the New York City School Renewal Assessment project, facilitating focus groups for the Schools Out New York City initiative, and providing technical assistance to the New Jersey, Rhode Island, and Oregon statewide evaluation. In the past, López served as the project lead on the development of an expanded learning guide and training model for afterschool programs in Latin America (Mexico and Argentina) and contributed to the Beyond the Bell-4th edition. He also has extensive experience in strategic planning that integrates direct service and program administration in continuous program improvement processes. López is trained in NVivo qualitative data analysis software, interview and focus group facilitation, protocol, and coding. He is a nationally recognized presenter on relevant education and afterschool topics (e.g., youth development, social emotional learning, college and career readiness) and facilitates national, regional, and statewide educational workshops that bring the most up-to-date research to the field in existing and relatable formats.